How many posts have you read with a similar title? How much advice have you actually followed-through on after reading the articles? It sure is a fun pass time to scroll through your feed and only read the titles… but perhaps you should give this one post a chance. You might already be doing all these things anyway… but you may also be missing out on something extremely valuable. What I discovered about skincare is that after the age of 30 the focus should be on maintenance and protection. There are excellent all-natural facial creams, serums and oils, that can deeply hydrate and reduce visible wrinkles… but the results will actually depend how rigorous you are in following a good daily cleansing and detox routine for your skin. The reality is, we cannot turn back time, no matter what the big commercial skincare companies want you to believe! 1.Understanding how your skin works... and what it’s life support is. The first thing you should understand is that free radicals are your skin’s enemy! They are basically unstable oxygen molecules that attach to other body cells and break them down. Collagen is very susceptible to free radicals as its structure becomes less mobile once the free radicals have interfered with it. The collagen, so important for your skin’s elasticity, reforms stiffer and less malleable. This being said, everything we do should be to fight free radicals and protect our skin from their damaging effects. This occurs all over our body. We mistakenly tend to focus only on our face and neck, but how often have you seen wrinkled or very dry hands or legs looking older than a person’s age? Clearly, the main causes of aging skin are bad habits. Sure, genetics and of course our age do have much to do with our skin looking older, but an essential factor we CAN fix are our bad habits. It’s easier said than done of course but adding just a few simple things to your diet can really help in supporting younger and healthier looking skin. An easy thing to do to improve, protect and maintain healthy skin is making the right choices when it comes to food. 2. Another way to work towards healthier skin is drinking more tea with high polyphenols levels, and eating foods rich in antioxidants. Its high polyphenol content has been shown to decrease the growth of tumors and reduce the possibility of other types of cancers. The antioxidant level of what you eat and drink is taken into serious consideration by scientists, so much so that food are assigned a score based on their antioxidant level: the ORAC score (oxygen radical absorbent capacity). If you can add 3 portions of any of these foods to your daily routine… you’re already a step ahead of the game. What can you do for your skin externally? 3. The third thing you have to seriously consider is recognizing your skin type. This is very important as it will determine the types of products you should be using on your skin, as well as the frequency. Dry skin usually has uneven skin tone, some visible capillaries, and flakiness. Oily skin on the other hand is more prone to visible pores, breakouts (of varying degrees) and areas of pigmentation. So whereas you may think you have “normal” skin, it’s the above characteristics that will determine if it’s normal to dry or normal to oily… or simply dry or oily. What is the single most important step in your cleansing routine, whether you have dry or oily skin? This is what you are doing wrong dear readers. As our skin ages the treatments we use have to be more gentle. The younger we are the quicker the cell regeneration occurs, but as we get older the whole process just slows down. This is why this step is so important… this will help maintain the cycle of renewal. Some exfoliates and cleansers are gentle enough to be used daily, but a good rule of thumb would be 2-3 times a week. The products you use should have spherical grains (not artificial microbeads) but rather biodegradable ones like ground fruit shells. You should never exfoliate on dry skin… so make sure you dampen your skin before hand. Using circular motions will effectively remove dead skin cells and stimulate fresh news cells. IMPORTANT: Do not be tempted to use body scrubs on your face. Each product is calibrated for a specific action and the scrubs are different sizes based on where they ought to be used. I find what works best for me is using a serum with a moisturizer in the am and a serum with a facial oil in the pm. A mistake we sometimes make is not using the right products at the right time. We don’t need as much protection overnight, so using an all-natural antioxidant face oil will not over work the skin, and actually allow it to take a break. The oils are truly versatile, and can be applied to hands, nails, and hair as well! I find this Hydra-Rose Face Oil blend works best for me, but choosing an ideal oil for your skin type might require some research. 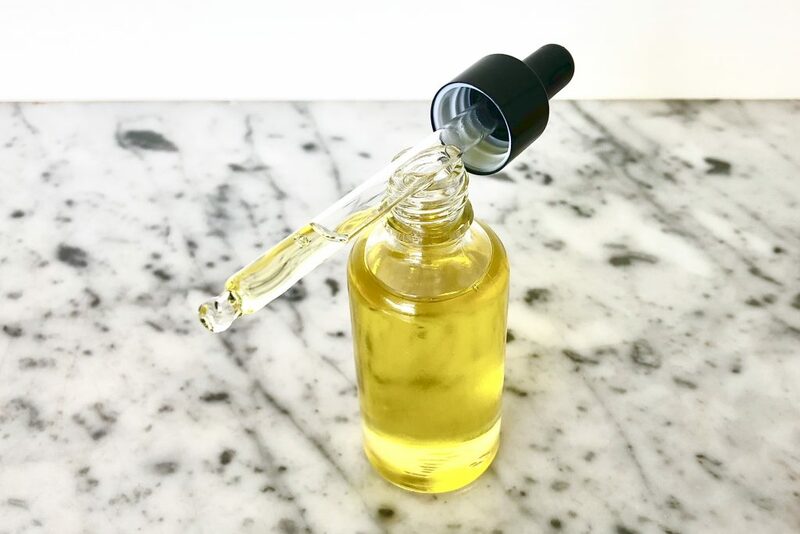 The basic rule is if you are prone to breakouts and have oily skin you should be using an oil high in linoleic content and low in oleic content. If you have dry skin you should then be using a face oil with the reverse characteristics; high in oleic and low in linoleic content. Here is a list of oils rich in linoleic content. A great option for a highly oleic oil, rich in antioxidants, for normal to dry skin types is tsubaki oil. Our face muscles need attention too. After a night’s sleep our face can look pale and puffy due to a general system slow down over night. After your daily morning cleansing routine take the time to apply your moisturizer with a gentle tapping massage to waken up the lymphatic system and give your circulation a jumpstart. This can leave your complexion revitalized and wrinkles and lines less visible. Do this daily! Do you know green tea is not only great to drink thanks to its rich polyphenol levels but it can also be applied as a compress to swollen eyes! You can use a cotton ball dipped in green tea brew and dab gently around the eyes. This will help tighten skin. You don’t need to brew fresh green tea everyday to do this. Simply pour some in a small glass container and leave it in your washroom for easier access. It should be replaced a couple of times a week. You can purchase a luxury green tea, free of pesticides and contamination here. How about the rest of your body? 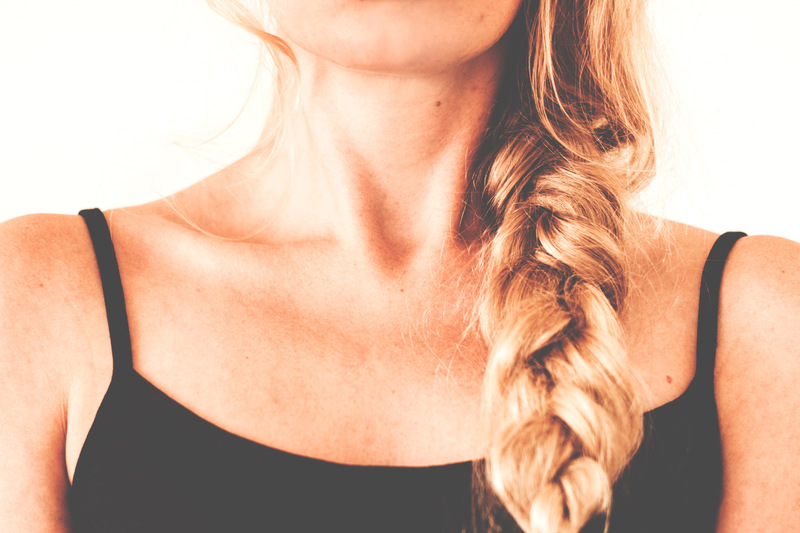 Every time skin rejuvenation is discussed the conversation tends to be limited to face and neck. We often neglect other parts of our body like the lips, hands, legs and feet... and yes… the bust! The chest area cannot be neglected, and we see signs of this quite early on. Without the addition of exfoliation and a moisturizer the skin in this area can become crepe-like and show your age ! An amazing alternative to daily mositurizer in this area is the tsubaki oil! You can read a post I wrote about it here...but do try it! A gentle lip scrub I make at home is with brown sugar and jojoba or olive oil. You can massage this blend gently over the lips for a 2-3 minutes to remove dead skin cells. You can than moisturize the lips with an all natural salve or lip balm, but they will already feel moisturized thanks to the nature derived hydrating properties of the oils. You should also avoid licking your lips often, especially in winter. Carry a good quality all-natural butter with you and apply it as often as needed. I find that our hands are truly the biggest telltale sign of ageing. As I said before, protection is essential. Use gloves during winter, but more importantly use gloves when you do house chores. The harsh chemicals and contact with water will dry out both your skin and nails, making your nails appear brittle. 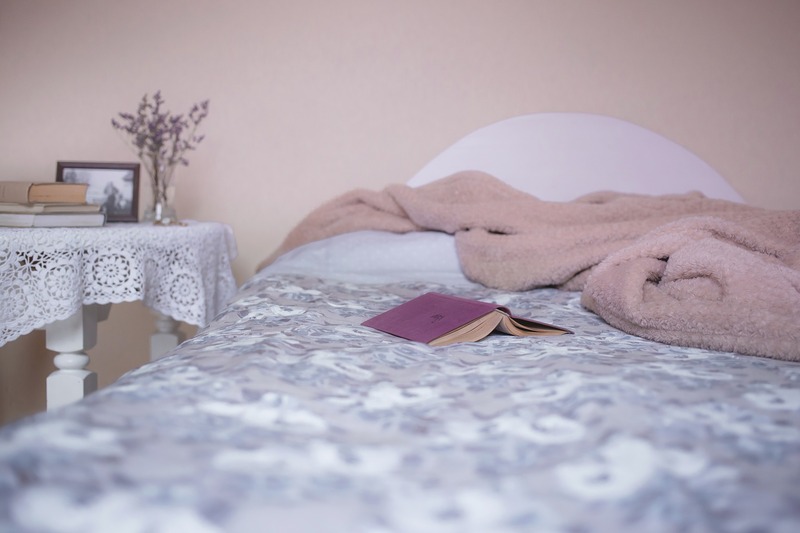 A simple remedy is applying an all-natural moisturizer daily, but if once or twice month you can slop it on before bedtime, and cover your hands with cotton gloves… wow what a reward you’ll get when you wake up the next morning! If you would like to be notified of new posts from the Wonders in Wellness blog fill in the contact form below, or follow me on Facebook! Previous Post Cruelty free. Vegan Care. Not tested on animals. Are you as confused as I am? Next Post The 8 essential oils I cannot do with out, and neither should you!